All these Gajaks are made with the basic ingredients jaggery, ghee and cardamom powder. The Til Gajak is made of roasted sesame seeds, which gives the fantabulous smell and taste. Sesame seeds are very good for health. Kaju Gajak is the most sumptuous Gajak that is rich in protein and good source of fibre. Cashews can be mixed along with other nuts or else can be added alone to make Gajak. The regular intake of cashews will lower the risk of cardiovascular diseases. Moongphali Gajak is the most popular one. With the delightful taste and nutritional benefits, this snack is favoured by a large group of people. Peanuts are easily available throughout the year and cheap. You can enjoy the crunchy munchy moongphali Gajaks either making at home or from the online store of MM Mithaiwala. 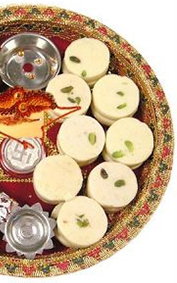 Mixed Gajaks are popular range of Mithai from MM Mithaiwala specially prepared to steal the heart of sweet lovers. This is a perfect 5pm snack that you can blissfully share with your family. 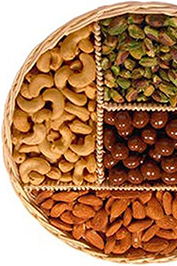 You can enjoy the benefits of all nuts including almonds, cashews, sesame, melon seeds, peanuts and pistachios. With all these nuts, the gajak becomes a complete nutrient rich food. Gajaks once prepared can be stored for a couple of weeks without losing the freshness. 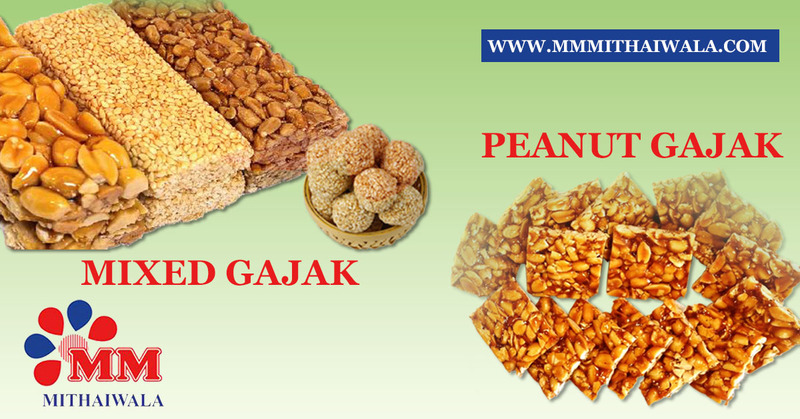 MM Mithaiwala Gajaks are available in the store with an affordable rate. Hurry and buy today itself some mouth-watering Gajaks. Try the new Gud Sing Gajak from MM Mithaiwala. No one can resist the taste of Gud Sing Gajak.